O Christmas tree, where should I buy thee? 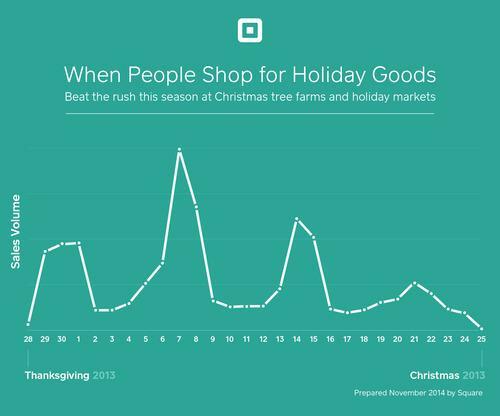 According to Square’s 2013 data, the crush is on now: The second weekend in December ranks as the busiest for holiday shoppers at tree farms and markets. 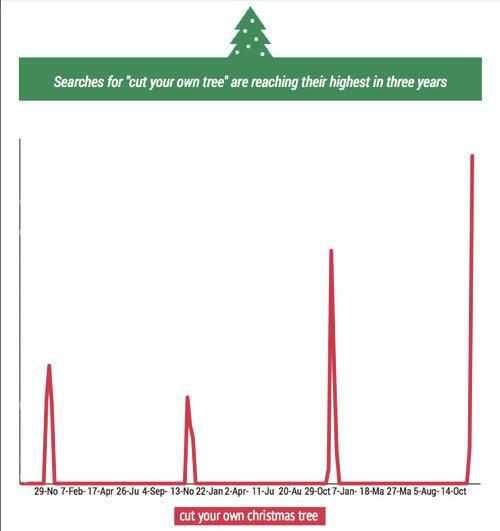 Tree farm searches are likely outpacing retail outlets because most people know where their local Walmart is. 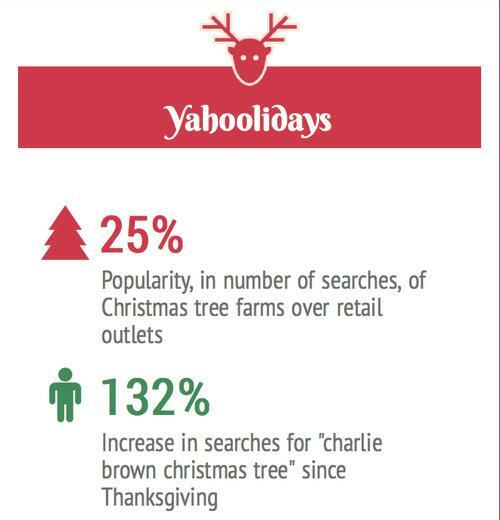 But it’s still nice to know a lot of people want to get their tannenbaum fresh. In fact, if searches are any indication, more people might be pulling out the ax than in years past. 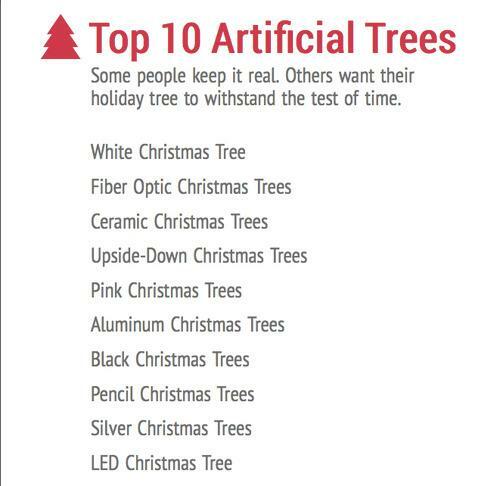 Real or fake, people have been studiously looking up photos of fab Xmas trees and getting inspiration from “martha stewart christmas trees” and the like. Most importantly, the tree has to look good from top to bottom. 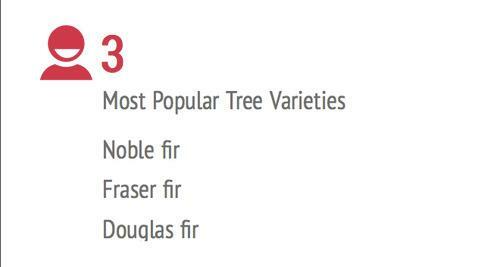 By the way, Square has some numbers for this year: So far the season’s arboreal bargain is the Douglas fir, averaging about $39. 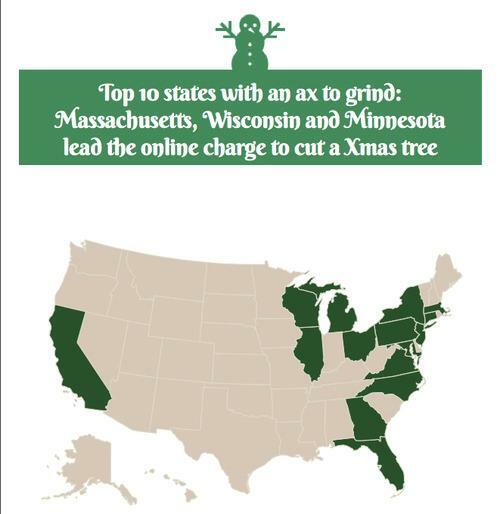 The priciest tree this holiday season? The noble fir averages about $67. You may have to take an ax to your piggy bank. A shout-out to infogr.am for some fun holiday templates.